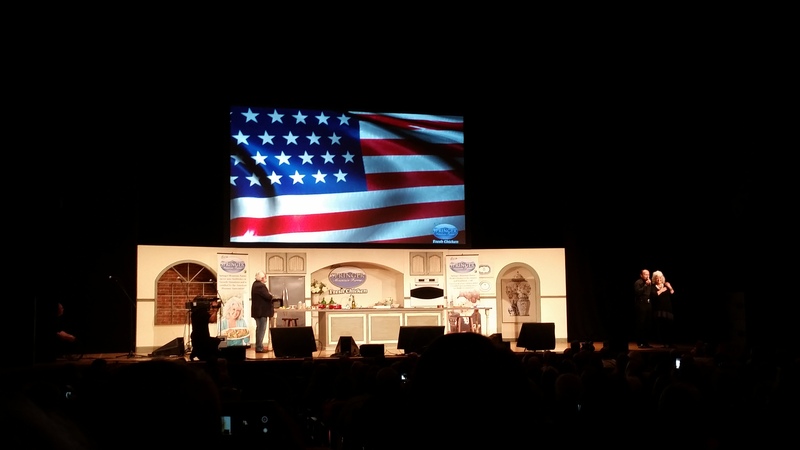 An Evening with Paula Deen!!! Friends, Food, and Paula…can’t get better than that! Life has been very active lately…good, bad, all the above! 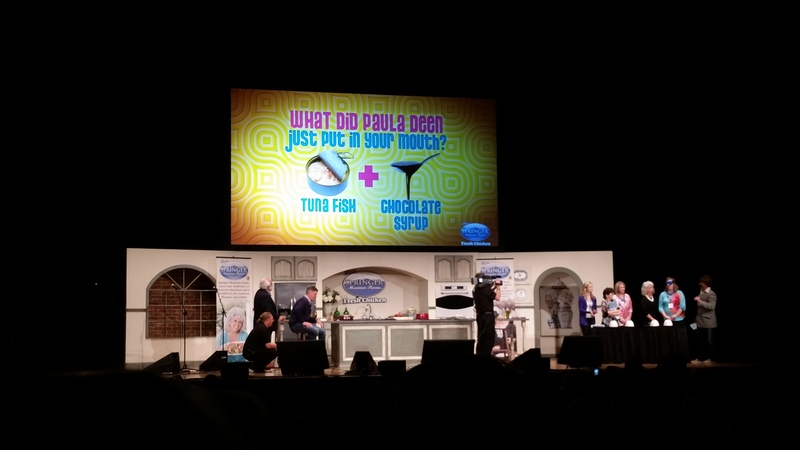 That’s why when the opportunity presented itself for me to go and see the Paula Deen Live tour that was coming through Charlotte, I was NOT going to pass that up! What made it even better? My good friend, Amy, was going to be able to join me. We both are huge Paula Deen fans, and since we don’t get to see each other as often as we would like, this was perfect. 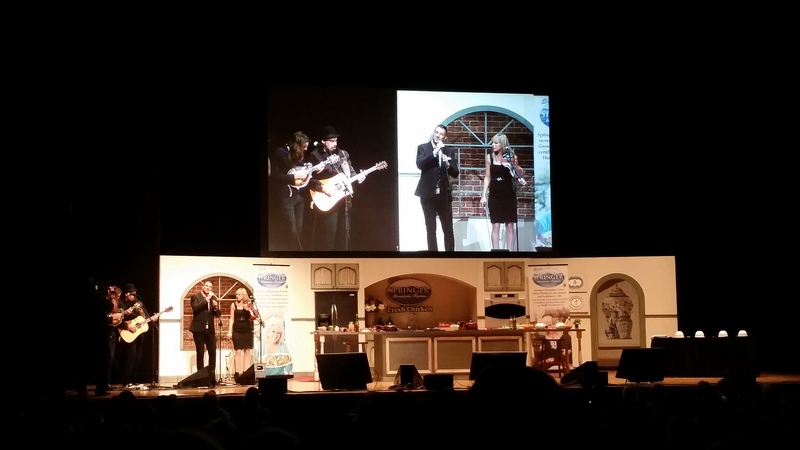 First thing is first – the staff at the Belk Theater at the Blumenthal Performing Arts Center was amazingly hospitable considering the amount of foodies that had piled into their waiting area. Then you had the Deen Crew in their special shirts that were able to give you more information about the Paula Deen Network and get you signed up. 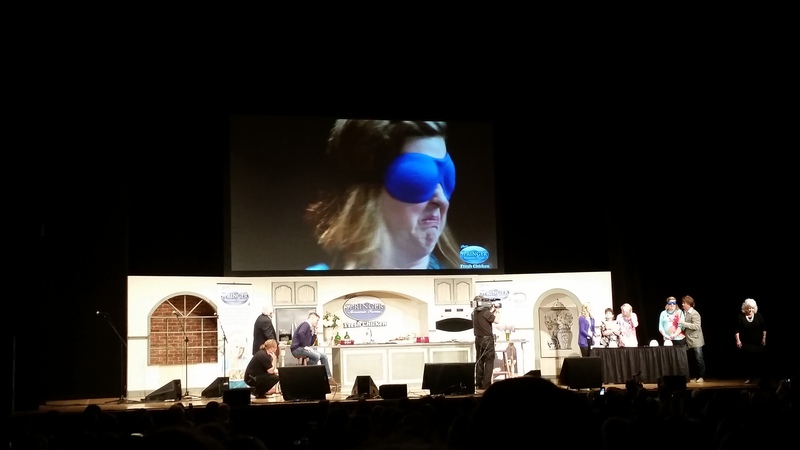 A gameshow within a show – What did Paula Deen just put in your mouth? 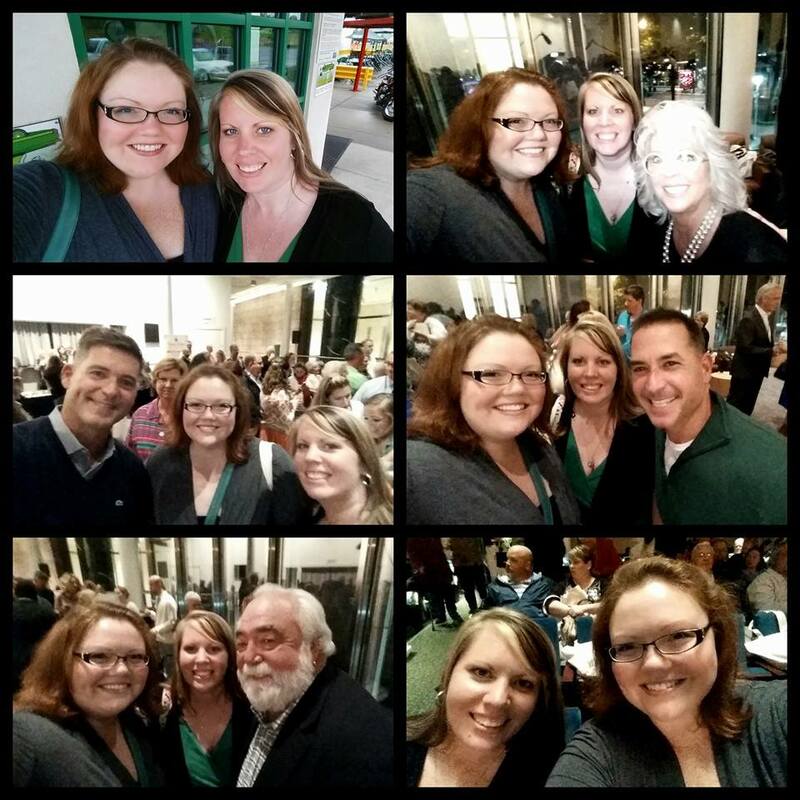 I was amazed at the different walks of life that were there to support Paula and see her. It was a very cool feeling to be amongst them. When we got to our seats, there was a goodie bag waiting for us. Wait, it wasn’t just us, every single person there had one waiting for them. It was an extra special touch that was well noted and appreciated. …and that combination of tuna fish and chocolate sauce resulted in this…poor woman. seeing the selfie craze being appreciated in the older generations. My grandmother was one of the first “grandparents” I ever knew to start using the Internet, and I truly believe that if Maw-Maw were still around, I would have been giving her the same tutorial. The show was phenomenal. Her husband, Michael, was there. Both Jamie and Bobby were there as well! It was nice to see them, because I’ve always been a huge fan of the sons and their own shows. It was just a quadruple treat to meet them all! 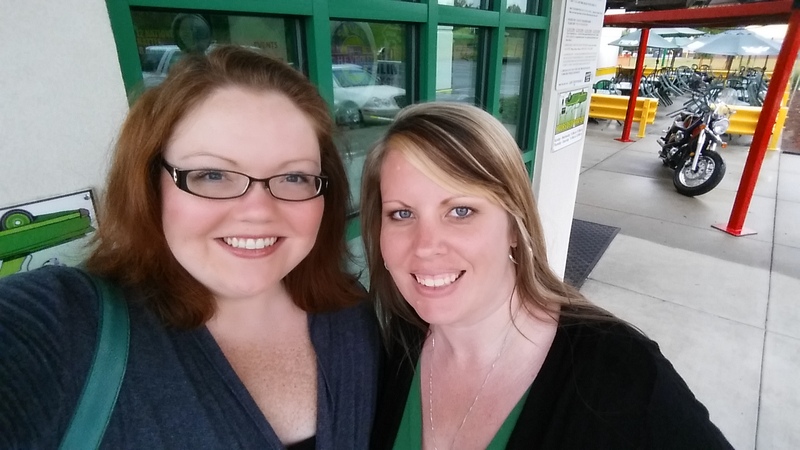 Yes, that’s right….I said MEET! There was a meet and greet after the show for a select few, and Amy and I were right in the thick of it. We also got to speak briefly with Paula, Michael, Bobby, and Jamie. That was a nice surprise! Lee Greenwood’s performance was inspiring. Wait…there’s more!!! Did I mention that Lee Greenwood was there as well? He came out and cooked just a little with Paula and spoke about his own charity work that he does with our wounded veterans and ‘Helping a Hero’. Of course he sang God Bless the USA. The feeling in the crowd was immense patriotism as every single one of us stood and sang with him. Wow, just wow. You can gather more information on the Paula Deen Network by clicking here. It promises to have tons of classic Paula Deen shows, money saving tips, fun reality shows with her friends and family, and even more new cooking shows with some new faces and new friends! One of which is with this amazing man and his music! Check out Cooper Boone by clicking here!!! He and his band opened up the show with some beautifully written music. Definitely got the show started on the right Southern path! It was another phenomenal foodie experience for the books. Thanks Paula and team! Next Post Happy Four Year Anniversary to The Onyx Plate!